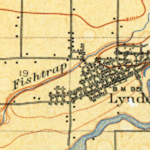 Lynden passed its Historic Preservation Ordinance (No 1492) in November, 2015. The Ordinance adopted a new Chapter 19.65 Historic Preservation to the Lynden Municipal Code and institutes a process for the identification, evaluation and protection of historic resources within the City of Lynden. It instills a sense of pride and cultural value on historically significant structures and landmarks in the city. It determines a process for identifying and protecting eligible buildings, neighborhoods, and landmarks for inclusion in the Lynden Register of Historic Places. It sets up a process for the protection of Historic Places and works to prevent conflicts as the city continues to develop. It incentivizes, through a Special Valuation designation, the potential rehabilitation of historic buildings. The Lynden Historic Preservation Commission is a 5 member citizen committee that is responsible for ensuring that Lynden upholds its Historic Preservation Ordinance. The Commission is responsible for educating the public about the City’s historic resources, for maintaining the Lynden Register of Historic Places, and reviewing proposals for rehabilitation or changes to these Places. The Commissioners are Mayor-appointed and confirmed by the City Council. They serve 3 year terms and must demonstrate a significant interest in local history and/or professional experience in the fields of history, anthropology, archaeology, architecture or related fields. In 2018 the City of Lynden was awarded a grant from the Dept of Archaeology and Historic Preservation to perform a reconnaissance level survey of the city limits. Northwest Vernacular, performed the reconnaissance survey.